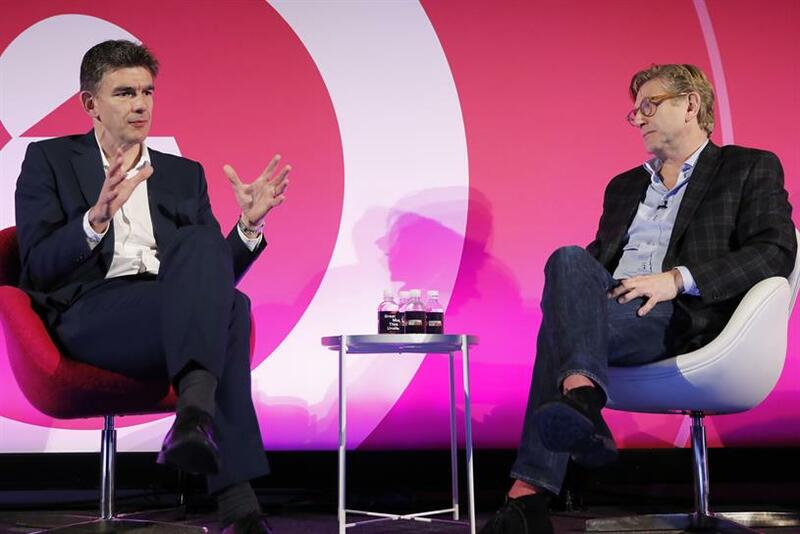 The high-profile CMO struck a balancing act during a tense Q&A at Advertising Week Europe. Unilever has not pulled ads from YouTube content in the UK but is tracking the issue, according to its chief marketing and communications officer Keith Weed, who helped Google's Matt Brittin negotiate tough questioning from the national media at Advertising Week Europe. The scheduled conversation between Weed and the Google EMEA president on the opening morning of the event was given extra spice by the The Times’ investigation into ads appearing next to and funding extremist content on YouTube. During an at times tense Q&A session afterwards, Campaign took the chance to ask Weed why Unilever had not pulled its advertising from YouTube like other advertisers such as the UK government and Marks & Spencer. Weed said: "We haven’t suspended [ads] here in the UK on YouTube and right now we’re tracking the situation. I’ll make a decision on what to do as and when because we have not yet been affected." Weed struck a difficult balancing act between inviting scrutiny from the media and proffering information, which at times saw him intervene to shield Brittin from intense questioning. When it came to his own feelings about the controversy, he said: "All my negotiations with any platform I will have directly with the company… directly but not publicly. We’re having the right conversations among ourselves." Weed and Brittin did give The Times the chance to ask the first question in the Q&A session as well as fielding further questions from outlets such as the Daily Mail, Financial Times, ITV News and the BBC. However, things got a little heated after Brittin’s answer to The Times’ question about how many people Google employs internally to proactively search for extremist content was not judged to be informative enough. Brittin said that Google used a combination of its community, its technology and its people to police unwanted content. He also said he was unaware of a statement The Times said was given by Peter Barron, Google’s EMEA VP of communications and public affairs, to a parliamentary committee that Google had no employees proactively searching for content. As The Times and other journalists sought to press Brittin on the issue, Weed sought to limit everybody to one question and intervened saying that Brittin had dealt with the question already. At one point he asked for the microphone to be taken away from a Mail journalist.